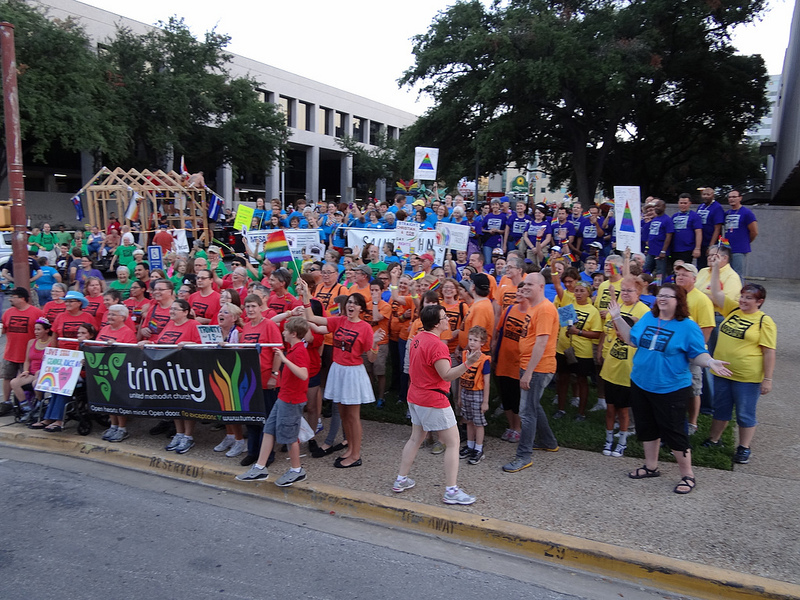 We are a coalition of groups in the Central and SWTX United Methodist Church conferences, each working for the full participation of all people in the life of our churches, including lesbian, gay, bisexual, transgender and queer people. We are connected to the national Love Your Neighbor Coalition. We believe that as God’s children we are called to live into the promise and potential of our divine and beautiful diversity! 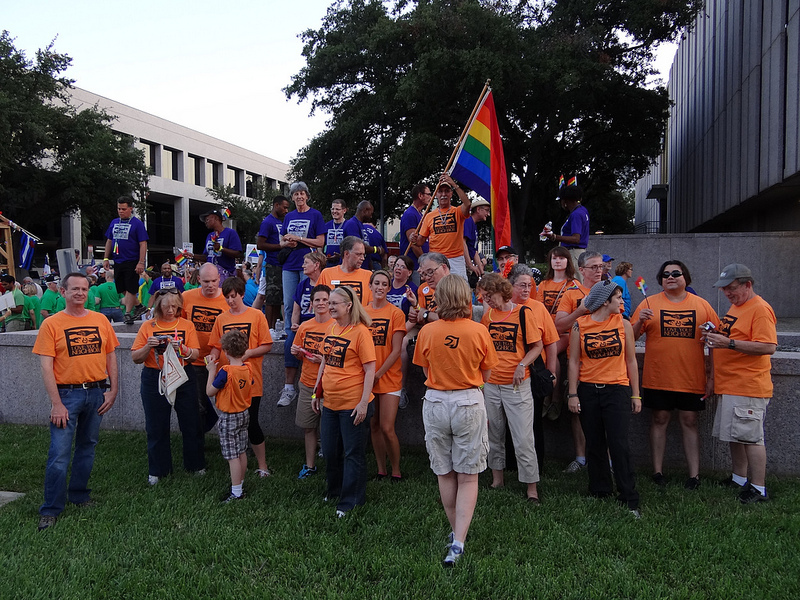 We participate in the annual Austin Pride Parade. We show up by the hundreds in A HUMAN RAINBOW as a witness to God’s inclusive love. The groups below in Bold are affiliated with the Reconciling Ministries Network. Some congregations are not affiliated, but have smaller groups that are. Please be aware that only the groups in bold have had conversation about inclusion of LGBTQ individuals and are considered safe spaces.